« Skype – It’s not the Outage, It’s How They Handled It. 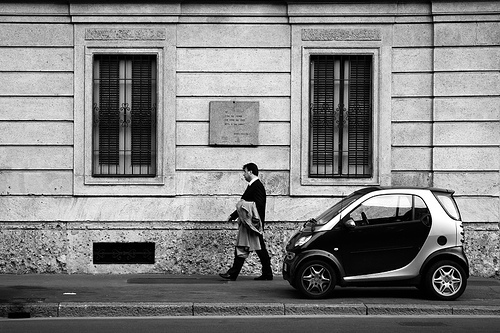 Automobiles 2.0: The Smart Car is coming!!! We just bought a new Scion XB a couple years ago, which I also love (its name is Squeezle :). We are lucky we got one when we did because they discontinued the original XB and made a new one that is not nearly as cool. And we have a big Dodge Ram truck since we live in the country and get firewood and all. do u really think the smart will be under 17k for the cabrio. It’s all bs think a car like that under 17k. So all of a sudden we will change the market. I dont think so. I believe the smart will have to stay under 17k or nobody will buy them, after all, there are a LOT of other cars on the market for less than 17k. We have our reservation in on the smart (also the middle model) but we are also looking at a Toyota Yaris as our *bigger* car!! I think people have to start looking at conservation as way of life – because life is changing rapidly. The best way to boycott the oil companies is to not buy the oil, but until we can really do that, small cars must be the trend if we’re to have a future.